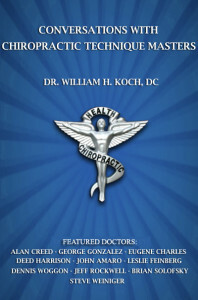 “Koch Advanced Technique Seminars — simple to learn, yet profoundly effective. I’ve only taken the first seminar and the results are simply outstanding. In 4 visits, I am having patients with long term hip issues being reduced substantially to where they are able to get out and live life again. 8 out of 10 patients I am able to have them go from an 8/10 in pain to 0-2/10. In follow-ups with these patients, I am finding they are for the most part maintaining for a month or two following their last visit. Personally, I find this remarkable, because it is correcting something that in the past might last for a few weeks before they come back with the same issue again. Having patients tell me they can walk up stairs again with little to no pain or go on long car rides with little to no pain is amazing!